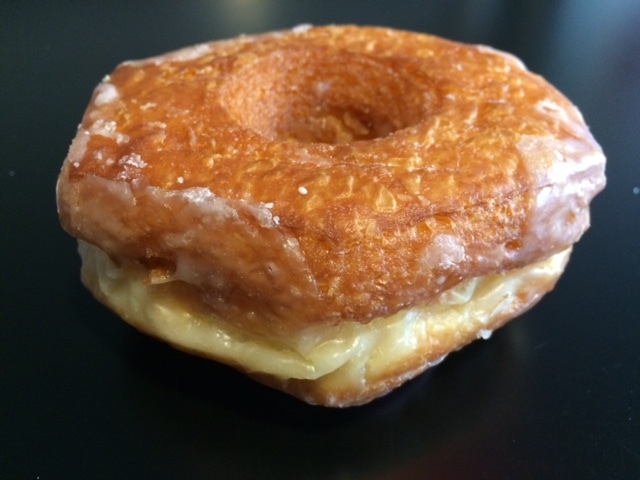 “Cronuts” came onto the scene in 2013 with incredible hype. The croissant/doughnut hybrid was developed in a New York City bakery, peaked the curiosity of millions, and took America by storm! The specialty item was sold for $5 each, but the limited supply and level of interest created a black market. 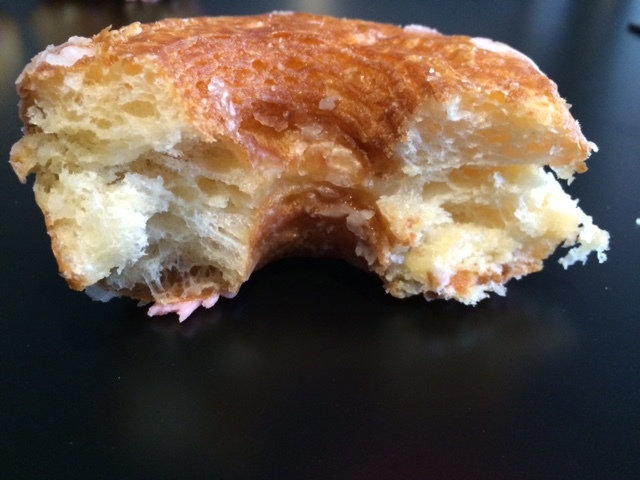 Prices soared upwards of $100 per cronut. Plenty of bakeries jumped on the bandwagon and created their own variation of the cronut in 2013, and now with 2014 winding down Dunkin’ Donuts has brought this item to masses by introducing their Croissant Donut. I’m a big fan of both croissants and glazed doughnuts from Dunkin’ so I did not hesitate to head down and grab the Croissant Donut. Selling for $2.49 each, the Croissant Donut carries a price tag that is over 250% higher than a traditional glazed donut. However, once I got over the price I dove right into the newest cronut creation. The differences between the Croissant Donut and the traditional Dunkin’ Glazed Donut were clear from the very first bite. Although they are both covered in that famous Dunkin’ glaze, the flaky dough layers that are traditionally attributed to a croissant helped to keep the cronut lighter, and ultimately more enjoyable, than a regular glazed doughnut. Dunkin’ Donuts claims the difference is the “24 layers of buttery dough” in each Croissant Donut. 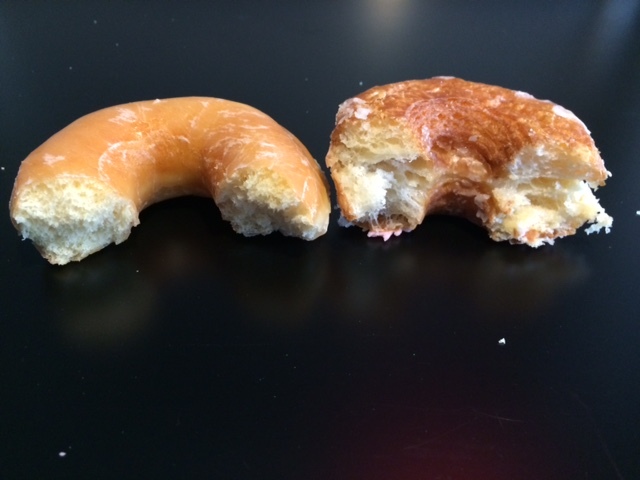 I ate the cronut too fast to actually count the layers, but looking back on my side-by-side comparison of the Croissant Donut and the Dunkin’ Glazed Donut, it is clear that the cronut is an airy alternative. I thoroughly enjoyed the Croissant Donut as a unique substitute to my regular breakfast, but I’m not sure how soon I will be ordering it again. There is always a lot of hype and intrigue when an item like the cronut seems to come out of nowhere, but this seems like a case where Dunkin’ Donuts is just too late to the party. Dunkin’ sold variations of the cronut in South Korea and the Philippines in 2013 so I am not sure why it took so long to get the item launched here in the States. My guess is that the delayed launch will prevent the Croissant Donut from reaching the sales required to keep it on the regular Dunkin’ menu, so take the time to drive down and grab one while they still last!